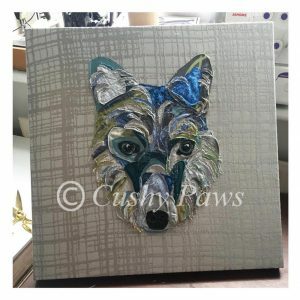 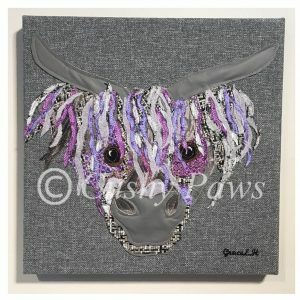 This item has been SOLD, please get in touch if you would like to commission something similar. 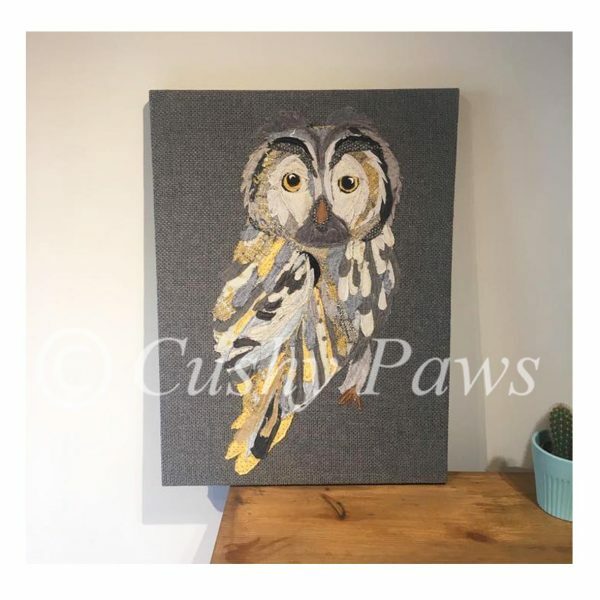 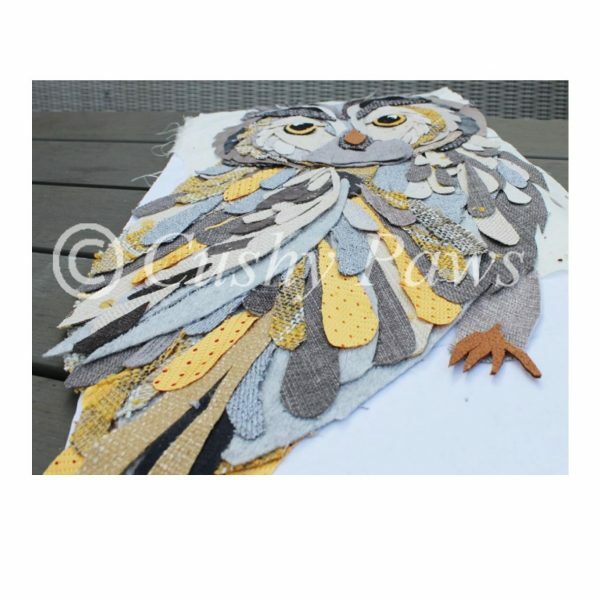 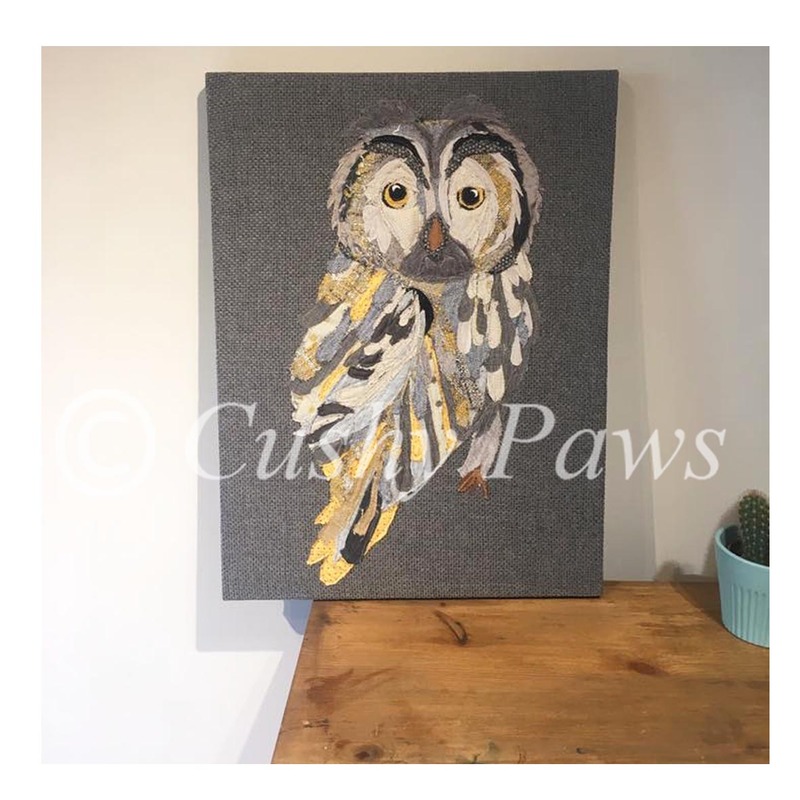 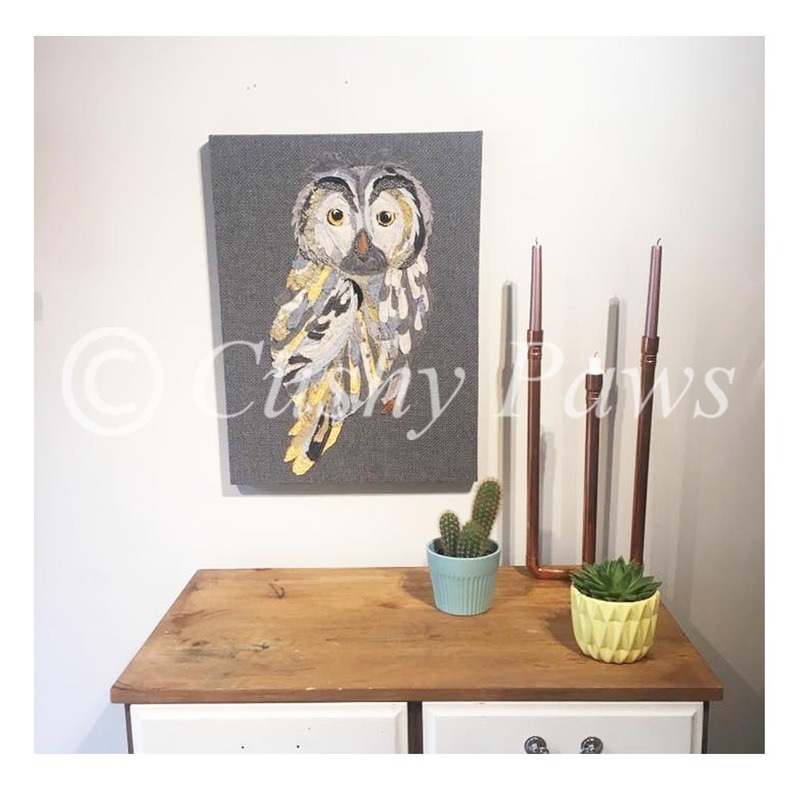 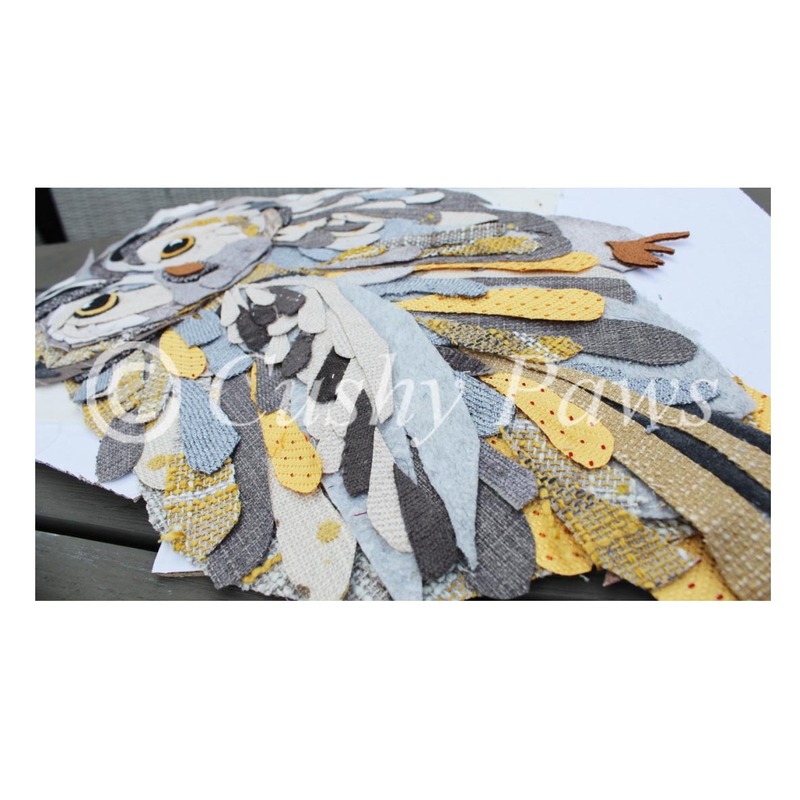 The Owl artwork piece is a 46 x61cm (approx) canvas created using layers of different fabrics. 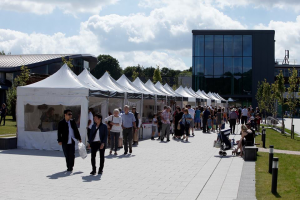 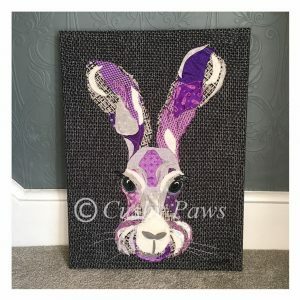 Each piece is individually cut out of a variety of printed and woven fabrics, layered on top of each other and then sewn down to create the finished article. 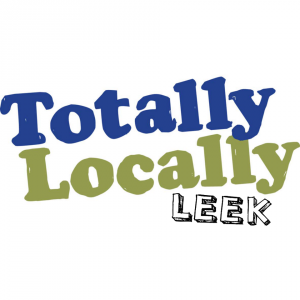 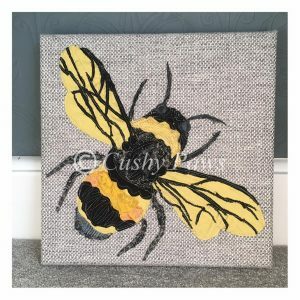 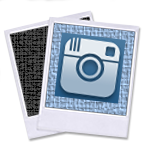 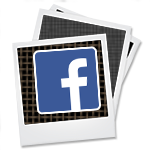 Every piece of original artwork is bespoke and one off making everyone of them unique.